Marc Johnson and Eliane Elias are husband and wife. 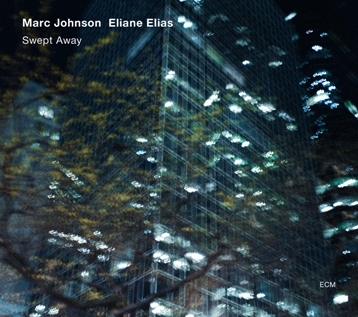 Marc Johnson was the last, permanent bass player of Bill Evans from 1978-1980. And Eliane Elias has all through her career been inspired by Maestro Evans. In 2007 she did Something for You – a celebration of Bill Evans through his music. On that album Johnson was at the bass and Joey Baron played the drums. This is a continuation and development of that album. Once again it’s the trio-jazz which has the upper hand. Do you know – and not least – do you love Bill Evans’ music, then this is an album which goes straight to heart. With the addition of saxophone player Joe Lovano several interesting things are happening. Lovano plays discreet and with empathy. He sneaks into the music and adjust his playing in an impressive manner. He holds back and is present. I don’t hesitate in recommending this album.